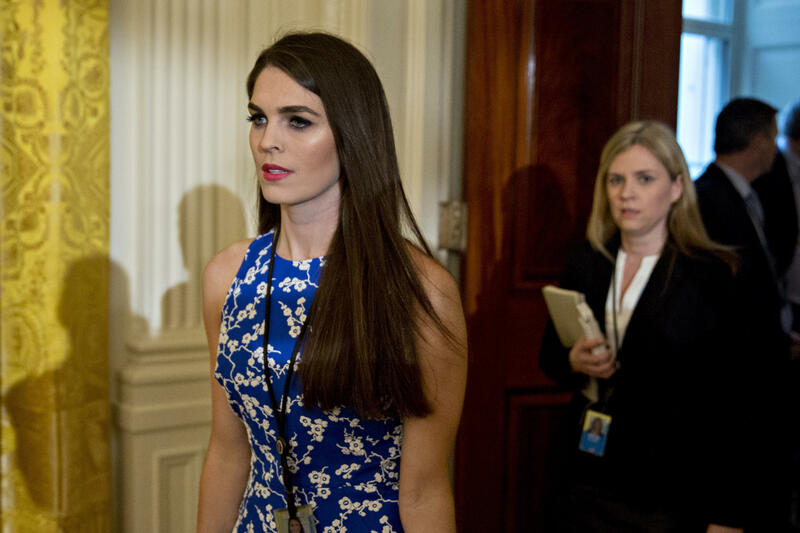 Special counsel Robert Mueller's team has scheduled an interview with White House communications director Hope Hicks, CBS News chief White House correspondent Major Garrett confirms through sources familiar with the process. News of Hicks' scheduled interview comes amid a flurry of developments for Mueller's team, which is investigating Russian meddling in the 2016 U.S. election. On Monday, former Trump campaign manager Paul Manafort and his associate Rick Gates pleaded not guilty to 12 counts, including charges of conspiracy and money laundering, while former Trump campaign aide George Papadopoulos pleaded guilty to lying to the FBI. Hicks, a 29-year-old aide who has been with the Trump campaign since its beginning, is traveling to Asia with President Trump and will not likely be available until her return. One White House official will be interviewed by Muller's team this week. Mueller's team has already interviewed a number of former Trump associates, including former White House chief of staff Reince Priebus and former White House press secretary Sean Spicer, as a part of its investigation.